The ART/Master Training combines both Advanced Reiki Training (ART) and the complete Usui/Holy Fire III Reiki Master training into a 3-day class, taught over a 3-day weekend. Class times are 9:30 AM to 6:00 PM each day. 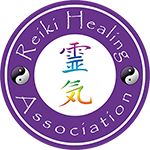 Prerequisites: Usui or Usui/Holy Fire Reiki I and II with a minimum of 6 months at Reiki Level II. Also, the student must have the ability to draw the 3 Reiki II symbols from memory. 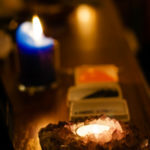 In the process of learning the healing techniques and placements/attunements, and taking part in the guided meditations, each student will receive many personal healing experiences. Many opportunities for sharing with classmates often lead to strong bonds and friendship; the group energy is always amazing! Please note that a 6-month interest-free payment plan is available through PayPal – see information below. Registration is required. A non-refundable deposit in the amount of $250 must be received by Monday, April 8, 2019 . – Contact me, either by phone or email indicating your intent to attend. – Make a deposit which will hold your place in the class.